Dr. Sarah Solomons is a native of Texoma and she returned and opened Boomtown Vision. 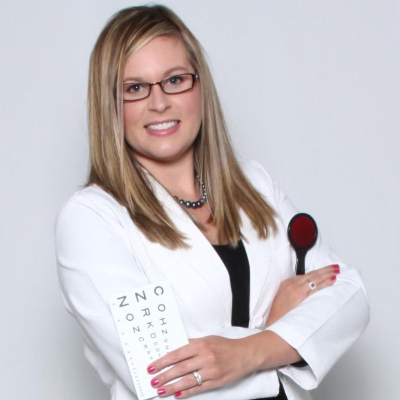 She was raised in Ardmore, OK and is a graduate of Oklahoma State University and the University of Houston College of Optometry. Her special interests include low vision exams for the visually impaired, specialty contacts and management of dry eye disease. When not at work she enjoys spending time with her husband Austin, their toddler, Cooper, and their Pembroke Welsh Corgi, Sadie. She is accepting new patients of all ages from infants to elderly.